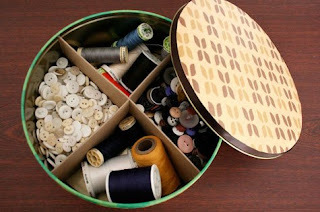 Get those buttons out of the ziplock baggies that came stapled to your new clothes. Cookie tin and two pieces of card. So simple.